A very smart and pretty affordable solution for every home is the use of PVC panels. They are unbeatable when it comes to thermal and noise insulation. Apart from that, they can be used to conceal uneven walls, damp areas or permanent stains. The abundances of colors and shades make them a perfect solution that can fit into any interior design concept. Their application is also quite easy. A wooden framework is mounted on the wall, so that the PVC panels can be firmly attached to it. At the same time, there is some tiny space left between the walls and the paneling. In the majority of cases it can be filled in with some insulating material, so that the warmth can be preserved on the inside, while the noise levels are kept to a minimum. 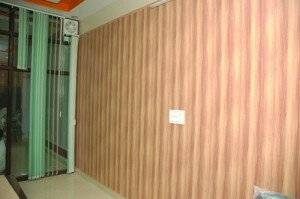 Even if you decide to leave the space empty, the PVC panels should be sufficient to provide for a warm and quiet décor. The low rates, the ease of use and the universal nature make the PVC panels a preferred solution for a truly spectacular interior. PVC panels can be used as a shower wall panel, but they cannot be used in saunas. Keep in mind that even though the installation process is quite simple, every step should be performed with the necessary precautions. Another important aspect is to consider the light brightness and the main colors in the interior, so that the PVC panels can contribute to the welcoming atmosphere of the home. PVC panels are very popular in the bathroom and kitchen areas as they are water-repellent and mould resistant, but they can be used all over the house. 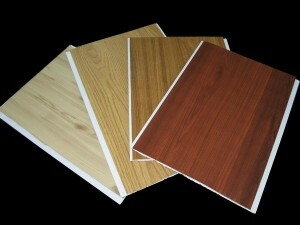 Home Design, Interior, Office interior decoration, PVC paneling for decoration, PVC panels. permalink.